Linda Archambault, Ty McCarthy, Kristen Grizaniuk and Amanda Duboys are 4/7ths of the Somers Point team. The Bacharach Somers Point outpatient center has been serving the residents of the Somers Point area for over 20 years, offering a range of services for conditions including orthopedic issues, vestibular rehabilitation, balance concerns, post stroke rehabilitation and other neurological disorders, as well as pediatric communication disorders. Somers Point Clinical Director Ty McCarthy, PT has 17 years of experience working for Bacharach in the outpatient satellites as well as the main campus in Pomona. 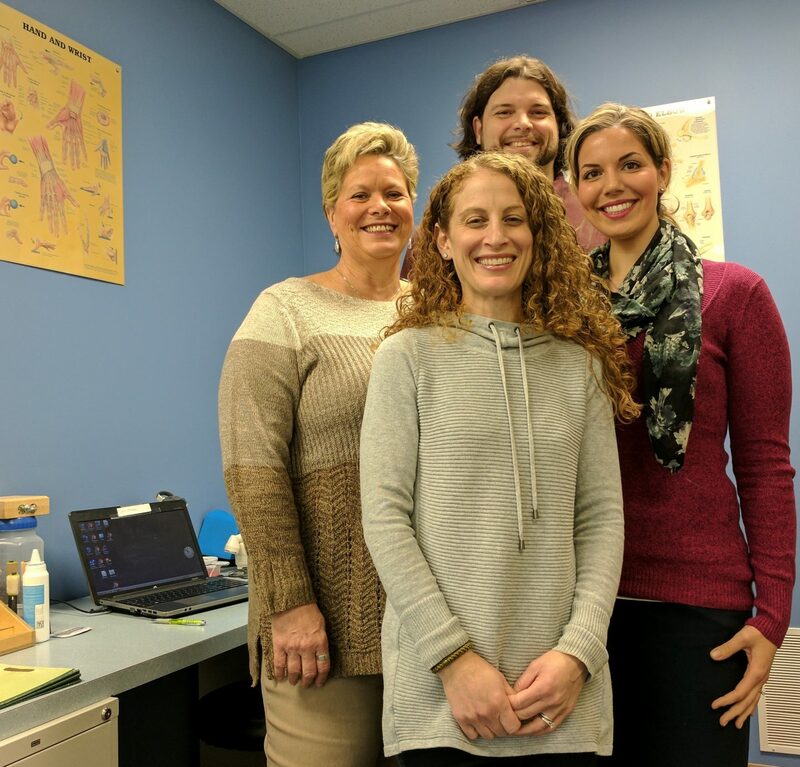 In addition to Mr. McCarthy, the Somers Point team includes: Dr. Kristen Grizaniuk, PT; Amanda Duboys, OTR, CHT; Dorothy Dougherty, SLP; Siobhan Grossman, SLP; and two support personnel, Linda Archambault and Carol Bassford. A unique aspect of the Somers Point center is that it offers pediatric speech therapy. The pediatric speech therapists provide speech/ language therapy for children with communication disorders. The Somers Point campus is open Monday to Thursday from 7:30 a.m. to 7:00 p.m. and Fridays from 8:00 a.m. to 2 p.m. For more information or to schedule an appointment call 609-653-4141.